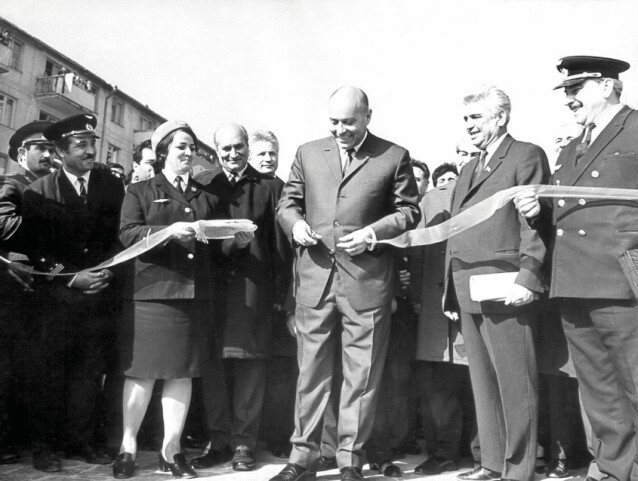 6 November 2017 marked exactly 50 years since machinist Salman Alekperov drove the inaugural train from Baki Soveti (now Icheri Sheher) to Narimanov station, signaling the opening of the Baku Metro. To mark the occasion a new logo was created, as well as a special anniversary song, and the Azerbaijani president was filmed travelling along the maiden route in a smartly refitted retro carriage. Of the millions of people that pass through the Baku Metro every month, for most it’s purely a means of transport, but for a small minority it’s a long-established way of life. To explore the human story behind the Baku Metro, Visions spoke to some of its veterans. Many specialists claim that the geology isn’t as difficult as this anywhere else in the world. We have the sort of geology that... almost everything underground is water. To build a metro in circumstances like this is very difficult. But all the same they decided that it had to be built. Construction resumed in 1964 following the appointment of former oilman Alovset Abduragimov and the initial section was built within four years, consisting of the five stations running from Icheri Sheher to Narimanov (9.2 km). 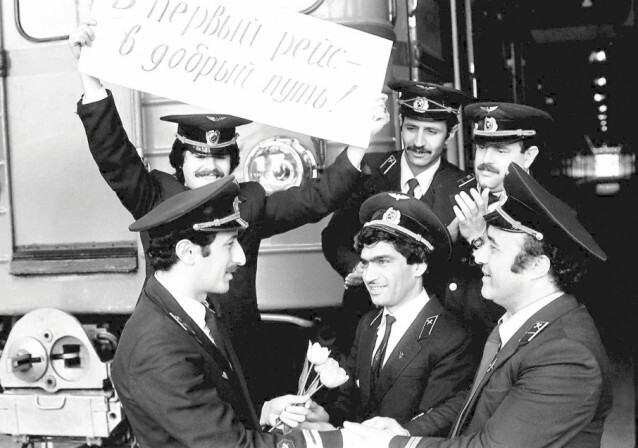 Following the ceremonial launch on 6 November 1967, which marked the 50th anniversary of the October Revolution, over the next 20 years the metro gradually expanded, with stations opening every few years and a second line opening up between Khatai (Shaumyan) and Memar Ajami. Two stations Ali singles out are Bakmil and Nizami. Bakmil’s isolation had always intrigued me but, as Ali explains, it was built for the express purpose of ferrying workers to and from the area’s air-conditioning and electrical factories. 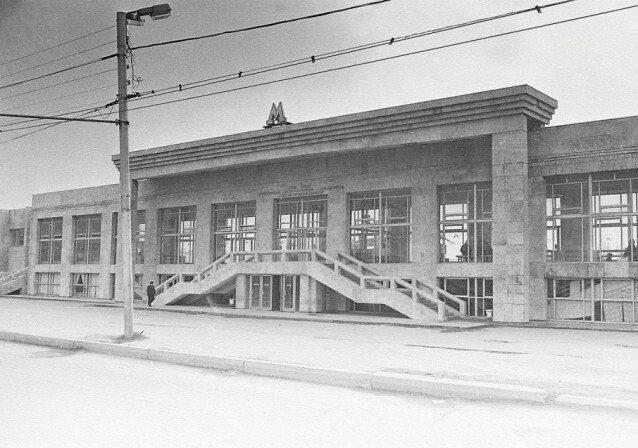 Originally it was just a small wooden structure known as the depovskaya platforma (in Russian, “the depot platform”), then a proper station opened in March 1979. Nizami is noteworthy for the time it took to build. Whereas Koroghlu (Azizbeyov)-Qara Qarayev (Avrora)-Neftchilar were completed in two years, Nizami alone took four years due to the geological challenges encountered along the 28 May-Nizami-Elmler Akademiyasi section, where for every 1,000 metres the line ascended some 60 metres, an incline that goes very much against standard metro-building practice. Nizami is also notorious for flooding, a common issue across the Baku Metro; according to Ali up to 300 water pumps are in constant operation around the Baku Metro every day. The biggest headache of the Baku Metro, however, says Ali, is the fact that it was all built on one level, a decision made by the central authorities in Moscow in order to economise at a time when Baku was still a relatively small city. In 1993 Jaffar Jabbarli was opened as a junction to serve this problem, but the Soviet collapse and Karabakh conflict, as well as two terrorist attacks and a tragic fire in 1995 in which almost 300 people lost their lives, meant the metro’s expansion halted until the early 2000s and the one-level two-lines problem (also a global first) still persists today. 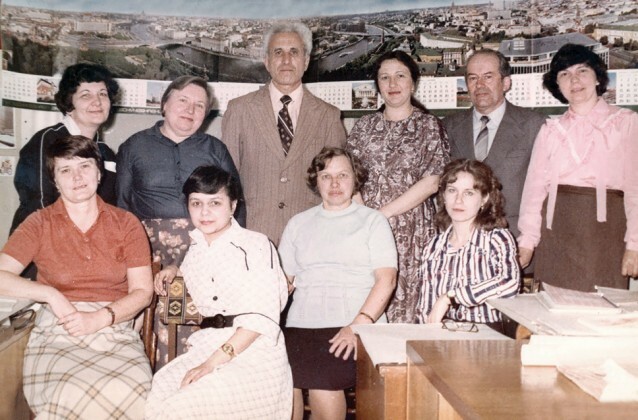 An interesting theme in the Baku Metro’s formation is the many specialists sent from other Soviet cities to offer their expertise and train local staff, a small minority of whom stayed and continued to build their lives around the Baku Metro. One of those was Valentina Kosik, who recently turned 90 and yet only retired from the metro three years ago. She still lives just a few blocks away from the former metro headquarters at Elmler Akademiyasi. Given her respectable age I feel a bit hesitant to call Valentina. But she agrees to meet as soon as the following day in front of the fortress-like Academy of Sciences and seeing her moving quite swiftly through the gardens, I know Ali was right to reassure me that she’s still very active. So active that 45 minutes later we walk back past Elmler station to photocopy all the papers she’s brought. They include a handwritten summary of her life at the metro, newspaper cuttings and most interestingly, a colour brochure from October 1967, just before the Baku Metro was launched. Baku was good, compared to Leningrad; here the food and everything was better. In Leningrad it was hard after the blockade [...] but here Baku was good: there was lots of fish, food, salad... I liked it. She describes how graduates from the railway institutes of Moscow, Kiev, Minsk and Tbilisi also came to Baku and were split between the building (Bakmetrostroy) and planning (Bakmetroproekt) arms. The boys became builders and the girls – planners. In those early days they were put up in the old Noviy Vostok hotel next to 26 Commissars Gardens (today’s Sahil Gardens in the city centre). Many returned home after three years but Valentina met a Ukrainian serviceman, got married and spent the rest of her life on the Baku Metro. Except for a brief hiatus. When construction of the Baku Metro froze between 1953 and the early 1960s Valentina worked on other of the city’s engineering projects such as erecting underpasses and flyovers. 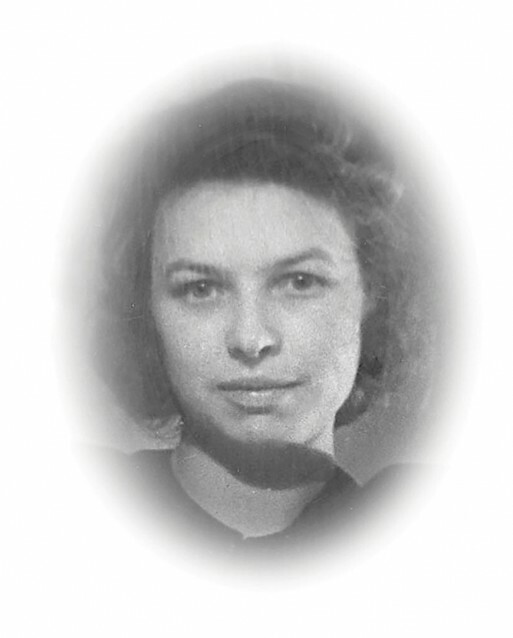 She was also involved in the design of the Baikal-Amur railway line in the mid-1950s, which meant several work trips to Siberia. Well every station we begin with the construction site, from nothing, on the earth’s surface, we dig the shaft, then build the stations and in order to build the station you have to do temporary lighting during the construction, so first we do temporary lighting, so we temporarily light all the rooms that are being built, we light the territory, we install electrical energy for the pumps, for pumping out the water, then when the station is ready, we begin the final lighting and at this stage we come together with the architects. I worked there for 63 years and every station where I did the lighting and construction, there’s a sort of love for every station. And I even dream about them at night sometimes. What do you dream? I ask. That I’m designing something; the electricity, that I’m installing the circuits, putting in cables, putting electrical energy into the machinery, lighting a station. I continue to dream about these things despite the fact I’m retired. In 2014, the metro’s construction and operations arms were merged into one big company (Baku Metro CJSC) and the new metro headquarters opened at 28 May. It’s here that I meet Aghaismayil Orujev, whose chic office looks over central Baku towards the Caspian Sea. What a view! I remark. It would be even better without that building, he responds, pointing towards the modern high-rise blocking the right of the scene: it’s ok, we’re removing it, he laughs. 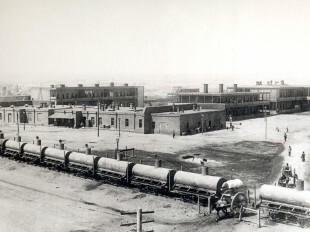 Then we’ll remove this part, he says, still smiling, indicating a protrusion of the headquarters into the left of the scene. 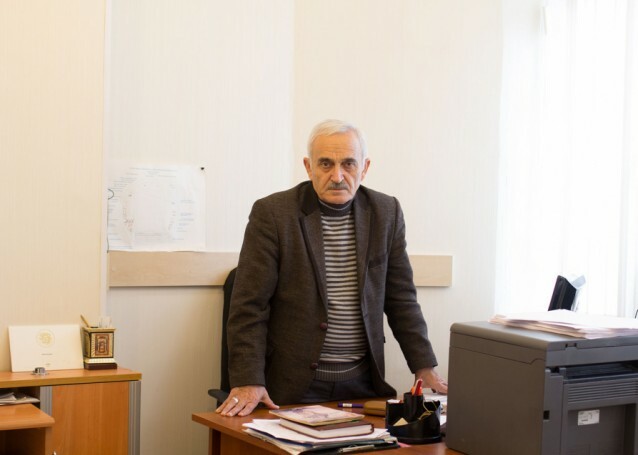 Aghaismayil is larger than life and his office a reflection of the path he’s ascended in the Baku Metro since first being attracted to the bright lights of Baku in the mid-1960s. He grew up in the village of Karadagly in Azerbaijan’s Ujar region, where his father worked on the railways for 40 years. Aghaismayil had no desire to follow in his father’s footsteps, instead aiming for a career in finance. But when he failed to gain entrance to his desired university, it was the railway institute that inevitably sucked him in. The course was only a year and his graduation coincided with the iminent launch of the Baku Metro, so it was there rather than the railways that he and his coursemates were sent, following a three-month placement learning the ropes on the USSR’s centrepiece Moscow Metro. He returned to Baku in August 1967 and served as a station duty officer, in charge of the movement of trains, after the November launch of the metro. generally speaking, all the stations are dear and beautiful to me. Why? Because I’ve worked at almost all the stations! Generally speaking, all the stations are dear and beautiful to me. Why? Because I’ve worked at almost all the stations! On some as the station duty officer, on others as line duty officer, as head of station – at three stations I’ve worked as head of station. 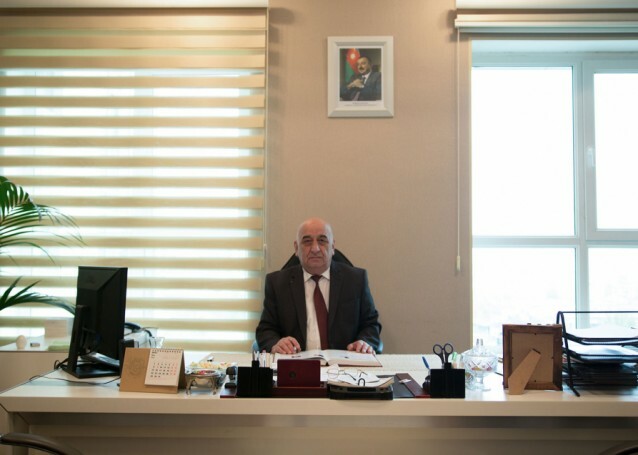 One other job he’s been responsible for since Azerbaijan restored its independence in 1991 has been translating all the technical instructions from Russian (the lingua franca of the metro in Soviet times) into Azerbaijani. He shows me a stash of coloured booklets for the various jobs on the metro; clearly much has been done yet he says he’s only halfway through. Reflecting on the last 50 years he recalls the opening of new stations such as Nizami and Ulduz, the latter of which coincided with Lenin’s centenery and was the first opened by then First Secretary of the Communist Party Heydar Aliyev, who he says made a huge contribution to the development of the metro: Even when he was deputy [premier of the Soviet Union] in Moscow he was constantly taking an interest in and asking about the metro from there, he says. To elaborate on this, according to Ali, when Aliyev was overseeing Soviet transport in the 1980s, on his instruction the Mytishchi machine-building factory, which was struggling to keep up with the demand for new carriages at a time when new metros were appearing around the Union, was completely reconstructed. As a result production increased to such an extent that the USSR was supplying wagons beyond its borders, to Czechoslovakia and Hungary, and the factory’s boss became very receptive towards the Baku Metro: At the first request, we were always given carriages, he said. Aghaismayil also highlights the technological progress, in particular the move from the automatic train protection system, which regulates distance between trains through the use of lights, to an automatic speed regulation system in the early 1990s, which he describes as a really good system, it’s still in use. It guarantees 100 per cent safety. As of today, he says, 60 per cent of the carriages have been renewed and according to the Baku Metro’s ambitious general development plan, the number of stations is supposed to increase from 25 to 76 by 2030. Having tried so hard not to follow in his father’s footsteps all those years ago, it’s somewhat ironic the extent to which the railways have become the family profession: a young woman enters the room to fetch something from his desk during our conversation – this is my daughter, he says. Both of his daughters, it turns out, work as economists for the Baku Metro. When you talk about the metro, people just think of the driver, Ali says. 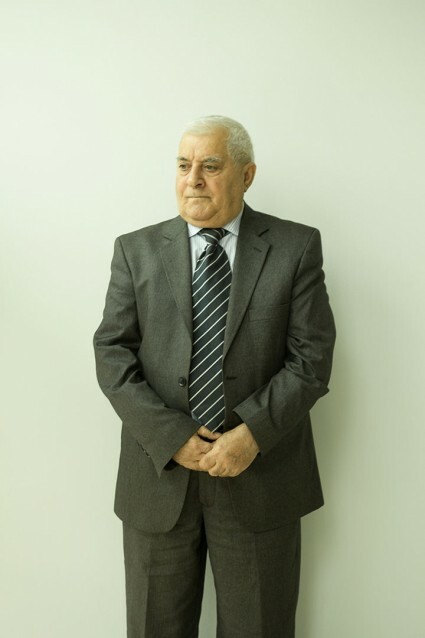 Being a driver is very prestigious, like a pilot; some do it for the uniform alone, he tells me, as we sit with Alekper Mamedov – not to be confused with the legendary Azerbaijani footballer – a longtime metro driver, who radiates a quiet, serious honesty. Like Aghaismayil, Alekper’s career coincided with the metro’s opening in 1967, when he began as a mechanic, repairing the trains. 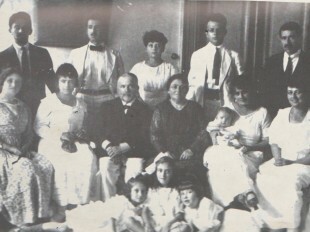 Within several months, however, he was promoted to driver’s assistant and during his years in this role, he recalls one incident in particular: On the way from Icheri Sheher to 28 May one day, he caught sight of Lutfali Nuriyev (then head of the Baku Metro) approaching with the wife and mother of Iranian Shah Mohammad Reza Pahlavi. As they entered the driver’s cabin Alekper suddenly found himself in an awkward position; the shah’s wife grabbed the emergency break to keep her balance but according to metro instructions, this was the exclusive right of the driver’s assistant. With the big boss present he could not simply let it go, so he reacted by gently moving his hand towards the princess’s, and she in turn sharply removed hers from the forbidden equipment. He’s the only person in Azerbaijan to have touched the hand of the wife of the Iranian shah, Ali jokes. In 1975 Alekper qualified as a fully-fledged driver and this remained his profession for the next 27 years. But having been destined for a career as a driver of electric trains, like Aghaismayil, his arrival at the metro was also essentially a matter of good timing: shortly after returning from three years in the army, the metro was due to open and Alekper was sent to gain work experience on the Kiev Metro. The driver’s job may be glamorous but it’s far from easy, requiring maximum attention at all times. With the short intervals between trains, says Ali, everything is decided by seconds. Aghaismayil emphasises the huge responsibility: whenever the driver takes a train from the depot he’s responsible for everything – transporting passengers, letting them on and off, dealing with accidents and emergencies – until he returns it at the end of the shift. Add to this the fact that he’s alone in the cabin, or with one other person, and behind him are 1,200 people – including children, the elderly, disabled, ill. The driver is responsible for everything every time he takes the controls, Aghaismayil says. I ask Alekper how he dealt with this day in, day out and in his characteristically modest manner, he simply says: a job’s a job. He still lives in the nine-storey house in Neftchilar originally reserved exclusively for workers of the Baku Metro. There, according to Ali, when it’s not raining, a gaggle of veteran metro drivers gather in the yard around the backgammon board, no doubt continuing to apply all those years of attentiveness.